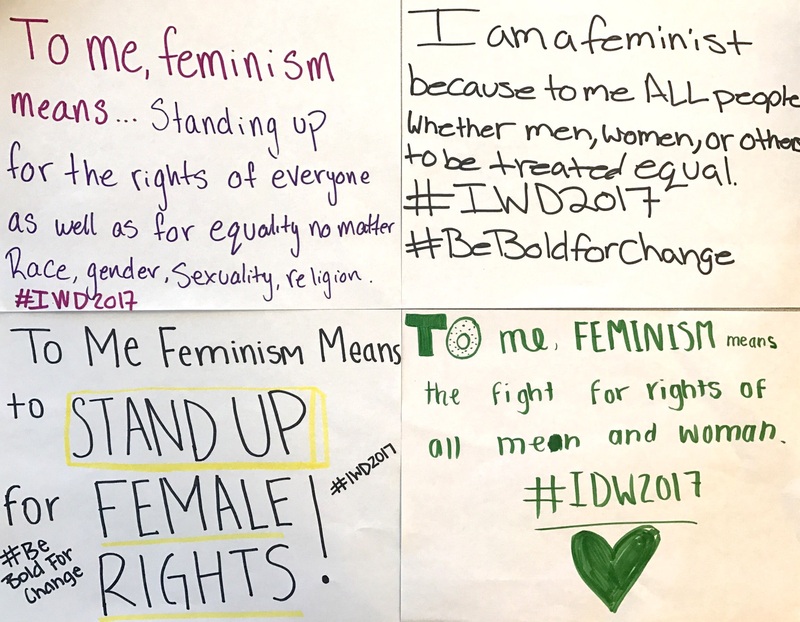 To honor International Women’s Day, students at Summit Preparatory Charter High School participated in workshops in order to add their voices to the discussion raised by the #IWD2017 #BeBoldforChange movement. Melissa Bernstein, who teaches Wilderness for the Expeditions team, and Elizabeth DeOrnellas, who teaches Journalism and Creative Writing for the Expeditions team, facilitated a workshop on intersectional feminism. Presentation materials can be found here. Darren, I’m so proud of you and everyone involved in this post! Fantastic work!